Home - Website of garagegastation! 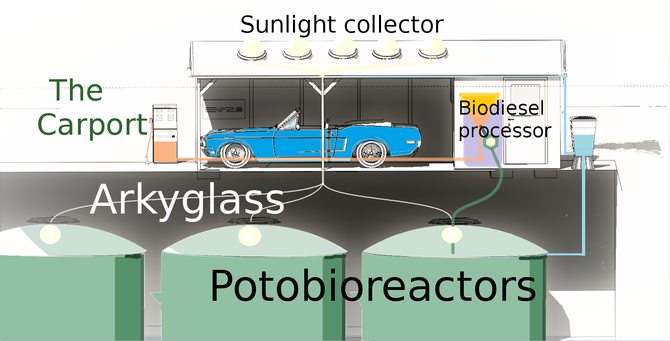 Every day, you get 1 liter of diesel each silo.The photobioreactor is a tanker of 20000 liters and is illuminated by a solar collector and powered by photovoltaic panels. 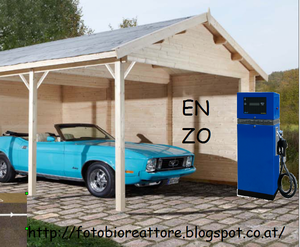 Produces 5kg of algal biomass of which 20% is turned in Diesel by a chemical biorefinery.